In case of manufacturing defect or damage identified at receipt of your order, you have 14 days to inform the customer service by e-mail to sav@princesselou.com, stating your contact information, your order number and the object of your request. If you did not choose the right band size, you have 14 days to exchange it for free (excluding return costs). Please contact customer service by email at sav@princesselou.com, stating your contact information, your order number and the subject of your application. NO EXCHANGE WILL BE CONSIDERED WITHOUT PRIOR PROCESS A REQUEST BY E-MAIL. A REFERENCE MADE WITHOUT PRIOR REQUEST BY E-MAIL WILL NOT BE SUPPORTED. HLDC COMPANY BE LIABLE FOR LOSS OF RETURNED ITEMS. What to do when you return requests accepted ? 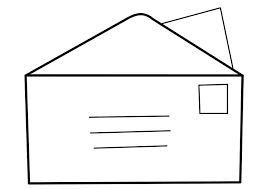 Transport costs for returns are at the customer, and items must be returned in "Letter followed." Items returned in new condition and without having undergone any transformation will be exchanged or refunded voucher. No monetary refund is allowed. The exchanges are possible if the request was sent within 14 days of receipt of your package. Accordance with the law, you have 14 days Counting the parcel receipt of your pay and you retract We Diverting all of Your order for non Reimbursement voucher. You Should You Make In Your personal space Princess Lou TO procedure of Conduct declaration of withdrawal.